Click the Christmas tree clip art for an adorable Free Holiday Card Printable with poem. 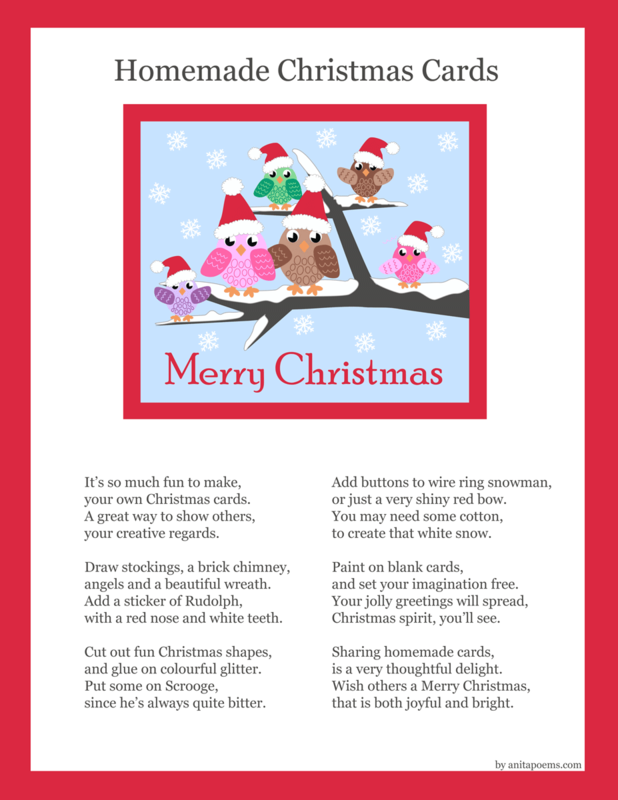 Anita Poems offers free homemade Christmas card printables. Design your own card with cute poems and clipart. Click the link below to start a new holiday tradition. Enjoy! Homemade Christmas Card Free Printables. Want more? Click the link below for 12 Free Printable Christmas and Holiday Cards. From anitapoems.com Happy Holidays!